Enabling efficient management of fixed assets, services and maintenance by consolidating data from all sources to provide a single holistic repository of all corporate assets allows powerful planning and decision making processes. No modules or editions, and no apps or agents to install. Pricing is structured per user and per asset, all functionality in all modules is available to all customers. Functionality is cut down for each user group so they only see the functions they need. Correct management of Fixed Assets can have a substantial impact on the profitability of any company. Corporate taxation and insurance can be cut substantially by removing retired assets from the depreciation schedule. Manpower is saved through easy access to the corporate asset register, enabling staff to quickly locate and deploy assets as needed. Safety, risk and asset life are optimised through correct retirement and servicing, and money is saved through asset reuse, increased reliability and effective procurement. 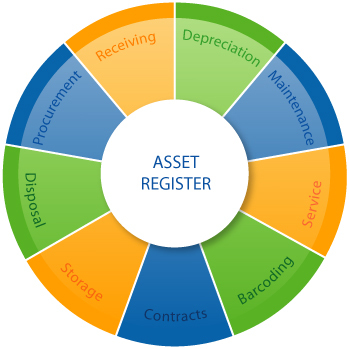 xAssets Fixed Asset Management is full lifecycle a browser based Fixed Asset Register with functions covering Asset Management, Depreciation and Asset Accounting, Maintenance, Barcoding and Asset Lifecycle Processes including Procurement and Disposal. The product can be used out of the box to deliver a comprehensive solution to Fixed Asset Management and Depreciation for medium sized enterprises and can also be extended if needed to meet the needs of large enterprises and customers with more complex requirements. Using our flexible and extensible configuration layer, xAssets solutions adapt and evolve with your business. Functions can be extended and new functions created at any time. Integrations are very quick to develop and can connect to any data source. Additional data fields and tables can be added to the data model through the user interface allowing rapid functional enhancement without the need for a development team. All aspects of the system including dashboards, queries, forms, reports, integrations, data handling and workflow can be configured to customer requirements. Configuration is mostly done within the user interface and is very quick. Most implementations are done in 1-2 weeks and a one year development project with competitive products would typically be done in 3-4 weeks with xAssets. The financials engine offers flexibility to implement depreciation calculations based on any mathematical formula and the formulae can include calls into scripts and functions to ensure that any calculation requirement is met in an efficient way. Underlying transactions are stored individually and once periods are closed transactions can no longer be changed (but adjustments can be posted into future periods). This ensure the financial integrity of the asset register in an industry standard way. IFRS presents substantial challenges to global organisations and any company with operations in multiple countries or in countries which are adopting IFRS. xAssets helps companies to meet these challenges not only through established reporting across multiple books but also we can accept each client's own interpretation of IFRS, GAAP and Tax books and implement those interpretations for the customers through a short implementation project. The financials and depreciation engine within xAssets Fixed Asset Management can be configured to meet any requirements surrounding International Asset Accounting, IFRS, GAAP and Tax calculations, and has the configuration capability, scalability and stability to meet the needs of mid sized and large enterprises. Canadian companies have moved to IFRS on the 1st January 2011 and they now have to report IFRS and Canadian GAAP side-by-side. xAssets can meet these requirements and follow each customers transition, rules interpretations and reporting strategy with a short implementation project. A description of IFRS requirements for US Corporations is here. Although IFRS is in general not a strict requirement in the US, it makes sense to put flexible depreciation and asset accounting systems in place which can meet the evolving requirements of IFRS and the changes in GAAP as the authorities attempt to align US GAAP to IFRS. This aids potential foreign acquisition scenarios and the benefits of IFRS reporting can be gained even though the rules are not strictly enforced. xAssets Financials and Depreciation engine is also capable of supporting all the conventions applied by US depreciation for tax book calculations. We fully support MACRS, ACRS, ADS, ACE and AMT. We can apply straight line MACRS, GDS via table lookup or GDS calculated, and we support partial month, mid month, whole of month, mid quarter, half year and any other conventions. These calculations can always be reported alongside GAAP, IFRS and other accounting books. UK companies face fewer challenges because UK GAAP is similar to IFRS (but not the same!). However companies must still look for differences in componentisation requirements and there are potential differences in several areas including assets held for sale, treatment of asset impairment and revaluations, plus deferred tax on revaluation gains. All xAssets Implementations include one of the most powerful integration toolsets available — xAssets Data Transformation Services. Data can be exchanged with any data source including local databases, web services, office files, other files and all major database applications. All solutions include pre-built integrations and standard imports are provided and loaders can be built for any data source. xAssets Fixed Asset Management sits at the center of your asset centered operations as a centralized data repository of Asset and Service information. 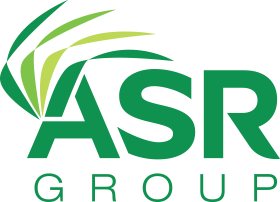 Each user group has access to the system via a web browser to get up-to-date asset information. xAssets will typically collect information or federate information from some or all of the following to provide a complete and up-to-date IT asset repository.